In 2003 a group of aviation enthusiasts met at the Air Force base F 14 at Halmstad, Sweden. An association was established - Fi-3 Rediviva Intresseförening". 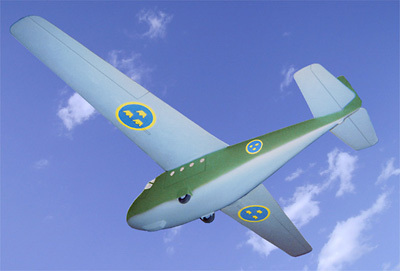 The goal is to build a flying replica of the cargo glider Fi-3, or Lg 105 as its designation was in the Swedish Air Force. Six of this aircraft were built, but no one is preserved. A great asset to this project is the complete set of drawings donated by Carl-Custaf Ahremark.